Fru-Gal.org: Free Sample of Woolite Laundry Detergent! 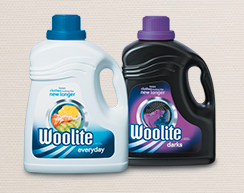 Free Sample of Woolite Laundry Detergent! I love signing up for these laundry detergent freebies as they are perfect for traveling, giving away in a disaster relief box, or to use when you've run out of detergent and are desperate to do a load of laundry before you can get to the store. ;) Speaking of laundry detergent, I plan on making my own soon (see recipe here)! Details to follow. For free sample of Woolite, click on the Woolite ad at the top of the Giant recipe page. Thanks, Money Saving Mom!